Are You Moving To Tampa Bay? Are you moving to the Tampa Bay area or the surrounding region? Have you been given a new job opportunity, PCS'ing to MacDill AFB, signing on with a Tampa Bay Sports Team or retiring from one of the northern states? Here are a few things you should know and do before making that final decision on the new area you will call home! The area you live in makes your home what it is. The major decision a lot of my recent clients have had and made, was based on the total commute time from work to home and or home to their kids new schools. Just like any metro area, traffic patterns can and will determine your actual commute time, each day you have to get out and trek along with the local drivers. Even if you decide to use Google Maps, it's always best to get up early and drive the primary and alternate routes you intend to travel. Make a list of the advantages and disadvantages to each area you navigate—it can help make the decision easier. If your kids are in school, you'll likely want a school facility close by or in close proximaty to your workplace. Whether a private or public school, be sure to research the County's school options and transportation availability? Tampa Bay area has a gigantic list of weekly, monthly and annual events and festivals. Find out what big attractions take place. If your family is into amusement parks or seeing iconic monuments, look to see if there is a place close by to partake in these activities. With local Major League and professional sporting organizations being so close, researching activities and fun events to look forward to can lessen the impact of a move. Being in and around Tampa Bay is very exciting, however, it can also be really tough to make weekend decisions with so many activities at your finger tips. Make the best out of it and get out and see the area! This is a big one. Cities come with different price tags. Make sure you know what you'll be spending before you commit. Communities and subdivisions have fees associated with the upkeep, so be sure to ask me about all costs associated with living in a particular area. 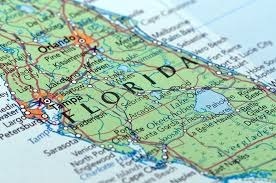 Although there is not a State Tax in Florida, there are taxes and other financial obligations that other states may or may not have. Grocery prices, car insurances, and other items tend to change. Calculate what you can expect to spend and ensure it works for your budget? The worst thing that could happen is you move and find out you can't afford living in South Tampa, and New Tampa meets all your needs. As your local Real Estate Expert, I'm here to ensure you have as much information as possible, in order to make the best decision and fully enjoy living in Tampa Bay! Give me a call today at (727)502-7632 and let's make Tampa Bay your new home!